The study of Meteorology is a fundamental part of any pilot training programme. A thorough understanding of weather theory, and the ability to interpret weather-briefing documents, are absolutely essential to all pilots, not just to prepare them to pass their theoretical knowledge examinations, but also to ensure that, throughout their flying careers, they can make informed and accurate decisions about how prevailing or forecast weather conditions will affect flying operations. Above all, a full understanding of how the weather influences aircraft operations is crucial to Flight Safety. 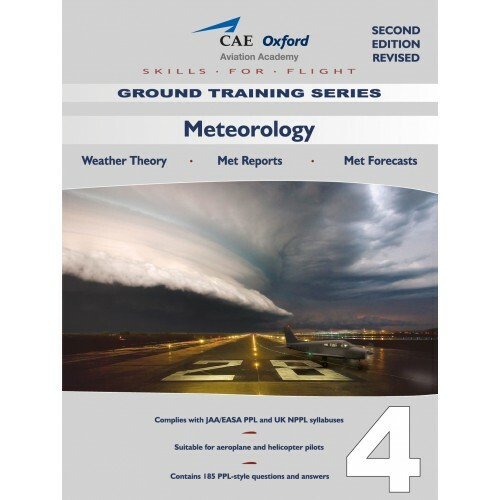 This book on Meteorology from CAE Oxford Aviation Academy will enable pilots to learn all they need to know about the weather, in order to fly safely and expeditiously, either locally or en-route.